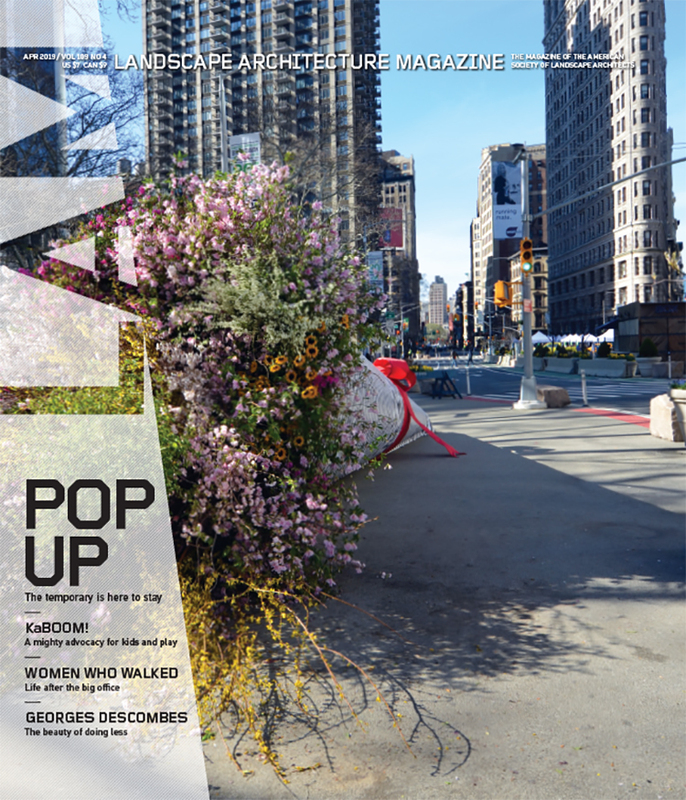 Andropogon completes Bartram’s Mile in Philadelphia; Tom Leader Studio tries to unify answers to earthquakes and rising seas in the San Francisco Bay region; it will always be Christmas at Gulf State Park; and more. When days of looking for food are tough, vampire bats observe a blood pact; plus, burdock follows a slow and steady approach to survival. SWA Group follows the success of its Buffalo Bayou Park with a scheme to expand a greenway system along several major bayous threaded through the city. In Georgia, the fast-growing Gwinnett County has been completely rethinking the types of parks it creates as its population diversifies. An odd artifact stuck in a Miami Beach garden works as a focus for a lush water garden by Savino & Miller Design Studio. Gorgeous new vessels to flatter any outdoor space. Somehow, Charles Anderson, FASLA, found himself in charge of creating what will be one of Europe’s biggest city parks, in Athens, on the enormous site of its former airport. On a wrecked waterfront in Beacon, New York, Reed Hilderbrand arrived a decade ago to begin making a park that defies the force of the glorious Hudson River. Toronto’s downtown lakefront is open for new business since West 8 finished its redesign last summer of a soulless stretch of Queens Quay Boulevard. The deluxe edition of a new book about the pioneering writer and editor J. B. Jackson examines his connoisseurship of ordinary landscapes. On the occasion of the National Park Service’s centenary this year, a roundup of recent titles examining its legacy. Taking a hard look at the land art movement.